The main benefit of acupuncture is that rather than just treating the symptom directly, it focuses on encouraging the body’s natural ability to heal its ailments naturally. When you visit our acupuncture clinic here in Banstead, your personal circumstances are assessed, and the treatment programme is tailored to your individual needs. So what types of ailments does acupuncture work for? Let’s take a look at the particular acupuncture services on offer at Acupuncture in Surrey. One of the most popular acupuncture services is the treatment of headaches. 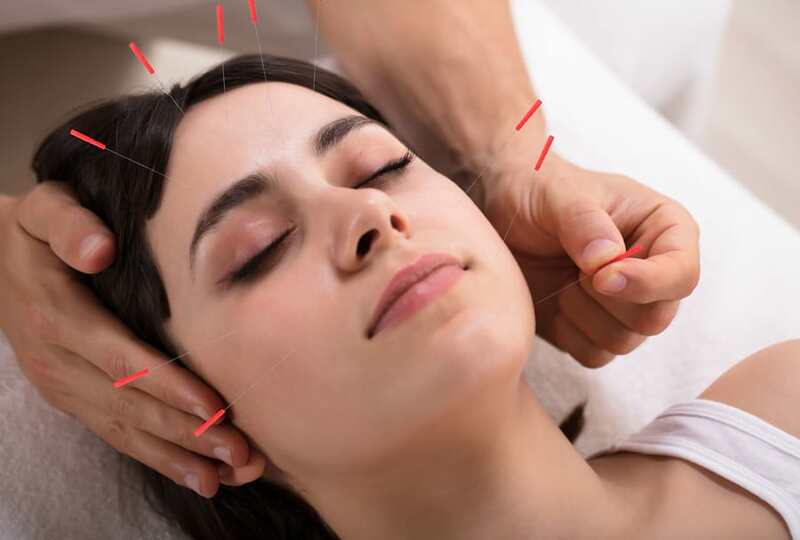 The treatments on offer at our acupuncture clinic treat all three of the main headache types – tension, cervicogenic (caused by pain in the neck or spine), and the more severe migraine. Our acupuncture services are not just beneficial for adults. One of the biggest areas of classic and Chinese acupuncture is the treatment of youngsters. Not all of our treatments use needles, and those that do are perfectly safe for children. Paediatric acupuncture has always been a key part of ancient Chinese tradition. Acupuncture benefits to children, and of course their parents, include the relief from constipation, coughs, ear infections, bed wetting and hyperactivity. We provide treatments that encourage balance and harmony in your body, thus creating the right environment for conception to stand a greater chance of occurring. Our acupuncture services are known to complement IVF treatment as well. Induced by one off events, or just the pressure of everyday life, we’ve all experienced stress. Stemming back to prehistoric times, the bodies natural reaction to perceived threat is to prepare for a ‘fight or flight’ reaction, by, for example, raising blood pressure. Over time, however, these reactions can damage health, causing anxiety, digestive problems, bodily aches and mood-swings. Acupuncture benefits the busy individual by improving circulation, flushing the body of toxins, decreasing heart rate and relaxing the muscles. It encourages the brain to release endorphins, and lowers blood pressure. As you can see, we can really make a difference to your wellbeing. But you may ask: does acupuncture work cosmetically as well? Our cosmetic procedures are often referred to as the acupuncture facelift. Like cosmetic surgery, cosmetic acupuncture reduces the signs of aging. Unlike surgery, those who chose the acupuncture clinic find the process pain free, and their whole body rejuvenated and revitalised. Cosmetic acupuncture treats lines and wrinkles, double chins, under eye bags and more. It’s not a replacement for surgery, but acupuncture benefits include a natural and painless experience, at a fraction of the cost, with no risk of disfigurement. Visit our acupuncture clinic, right here in Banstead, for a natural remedy to your medical or cosmetic needs. Acupuncture benefits sports people by providing a treatment that complements mainstream physiotherapy. Acupuncture reduces swelling, supresses inflammation and helps to improve your body’s natural strength and suppleness. Top sports clubs are increasingly turning to classic acupuncture, so if you have a sports injury, visit us in Banstead and let us help you.